Please note that you should adjust the strap to fit your eyes. Don't try to pull the strap against your face during your using because the strap may rebound and hurt your eyes. 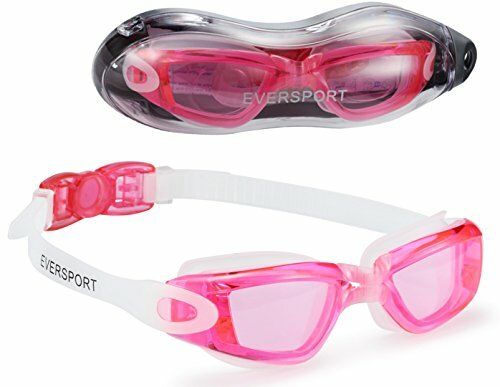 The Kayenne, Aqua Sphere s best selling swim goggles, opens up the playing field, quite literally. Oversized lenses with patented curved lens technology gives you style and ultimate comfort while providing an undistorted, expanded, 180-degree field of vision. 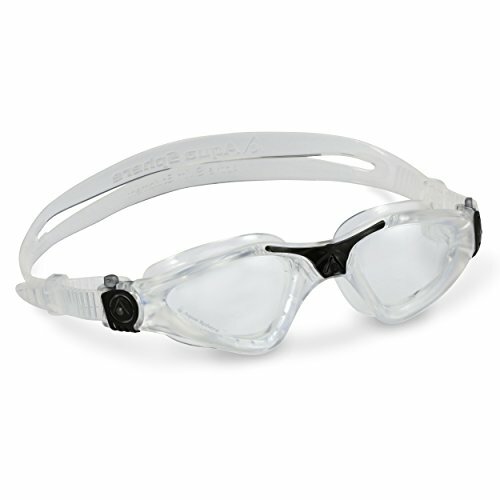 The super slim microframe keeps the goggles close to the face for superior, low-drag hydrodynamic performance. And the one-touch buckle makes fitting easier than ever. Pair these technologies with Aqua Sphere s standard UV protection, leak resistance, anti-fog and scratch resistant lenses, and the Kayenne is easily the most superior performance swim goggle available and the perfect choice for a competition, whether in a pool or open water. CURVED LENS TECHNOLOGY. Our patented curved lens technology offers the clearest possible visibility and 180 wide field of vision with exceptional hydrodynamics. For fitness swimmers who enjoy their workouts indoors or out, the Aqua Sphere Seal Mask is a great choice. Loaded with features included a silicone skirt, adjustable strap and UV protection.100% UVA and UVB protection..Antifog coating, scratch resistant..Clear lens designed to provide visibility while swimming indoors or in low light conditions..Tinted lens designed to provide greatest visibility and comfort while swimming outdoors or in bright light..Weight: 4 oz..Colors: Clear lens/Blue frame. Smoke tint lens/Black frame..Clear lens/Blue frame..Smoke tint lens/Black frame.. Specifically designed for fitness swimmers. Patented curved (Plexisol) lens provides 180 degree peripheral vision without distortion. VISION + PERFORMANCE. Created with vision and performance in mind, the Kayenne Lady Swim Goggles are made with oversized Plexisol lens, Quick-Fit Buckles, silicone strap for comfort and durability, stabilizing nose bridge, and our Advanced Fit Technology. UV & ANTI-FOG. 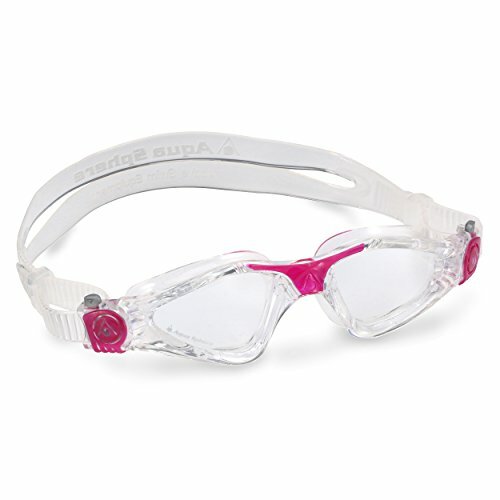 Aqua Sphere's Kayenne Ladies Swim Goggles are constructed with 100% UVA/UVB protection. Pairing that with a scratch-resistant anti-fog lens, your swimming goggles will bring you worry-free, crystal clear swims every time. COMFORTABLE & FUNCTIONAL. Tried and trusted with comfort and performance, the Kayenne design fits men and women and swimmers of all experience levels. In order to meet the multiple needs of Triathletes, we designed two versions. Main fabric: 80% polyester fiber, 20% spandex. 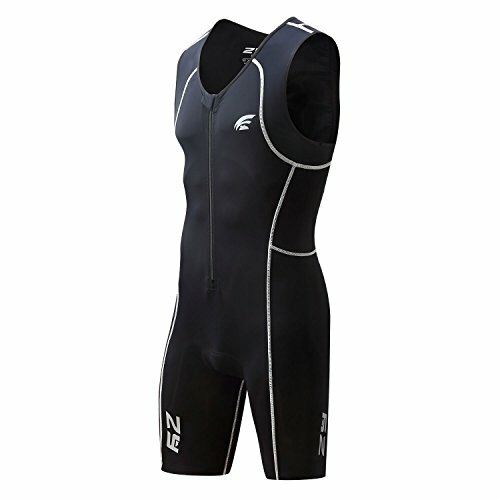 Quick-drying polyester micro for high breathability it's only suitable for open water use. Featuring chlorine resistant for indoor pool swims, UPF 50+ protection and moderate compression. Not only is this fabric chlorine resistant for indoor pool swims, it's also resistant to suncreams. 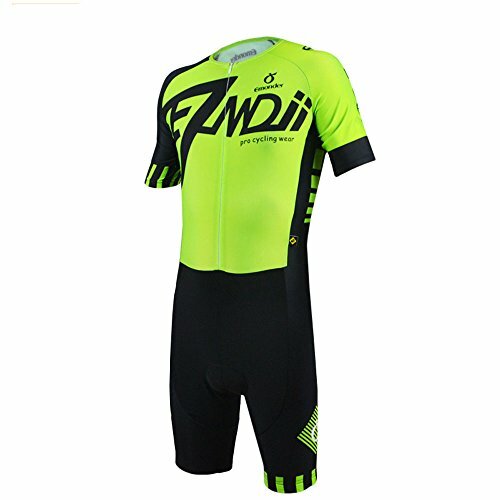 You, therefore, don't need to worry about damaging it when you need to slather on the sun protection for those warmer races or training sessions. -Any questions or problems to our products or service, please email us freely, we will reply and solve it for you. Durable Main fabric: 78% Regenerated Polyamide, 22% Xtra Life Lycrafibre . Featuring chlorine resistant for indoor pool swims, UPF 50+ protection and moderate compression. 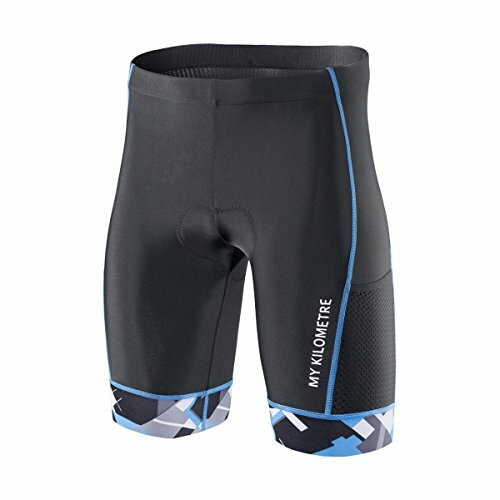 Accessible Storage Pockets on Sides : Nutrition storage pockets on each side of the legs for easy access whilst on the bike or run. MK TRI2.0 MULTI DENSITY CHAMOIS The pad has been designed for the aero position, which developed to provide maximum performance and comfort on the bike and during the run. 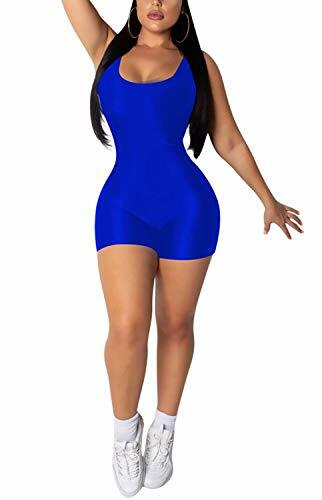 Ultra-thin and Ultra-light elastic leg grippers Ultra-thin and Ultra-light elastic leg grippersdesigned for best comfort and super flexibility, conforms to your body for a perfect fit. It obviously avoids silicone discomfort. 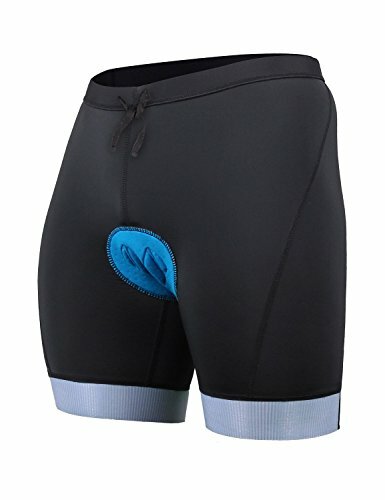 Flat Locked Stitching prevents chaffing : Flat locked stitching has been used to follow the contours of the body to enhance user comfort, prevent chaffing and maximize the strength of the product.